I have a full blown obsession with white at the moment. Be it white lace, white broderie, white shirts, white dresses or white skirts. Something white seems to work itself into every order that I place. Whilst I'm trying to restrain myself on the whole whites thing, I just couldn't resist this beautiful lace midi skirt and off the shoulder cheesecloth dress. 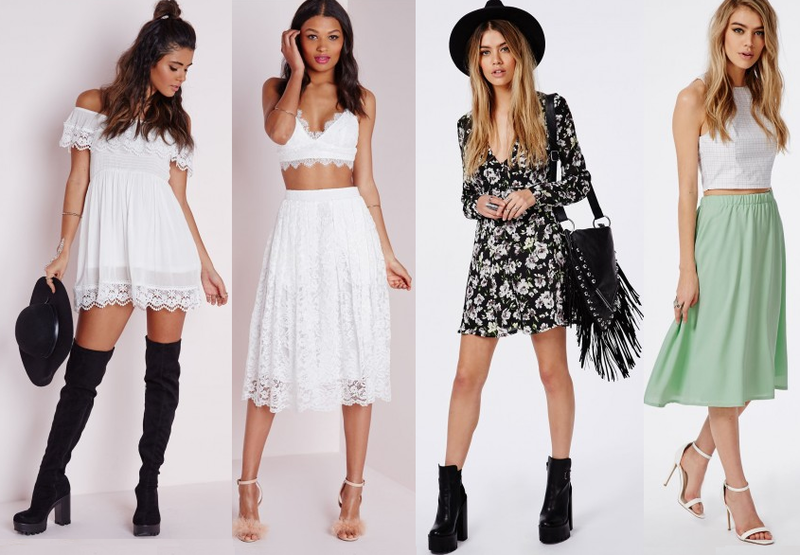 Nothing says summer more than white lace. And how beautiful is the mint midi skirt? For a mere £10, it's an absolute bargain. The floral dress is the perfect festival dress but because of its vintage look and feel, also wouldn't look out of place if you wore it walking around some of the more hipster parts of London! What are your summer go to pieces?